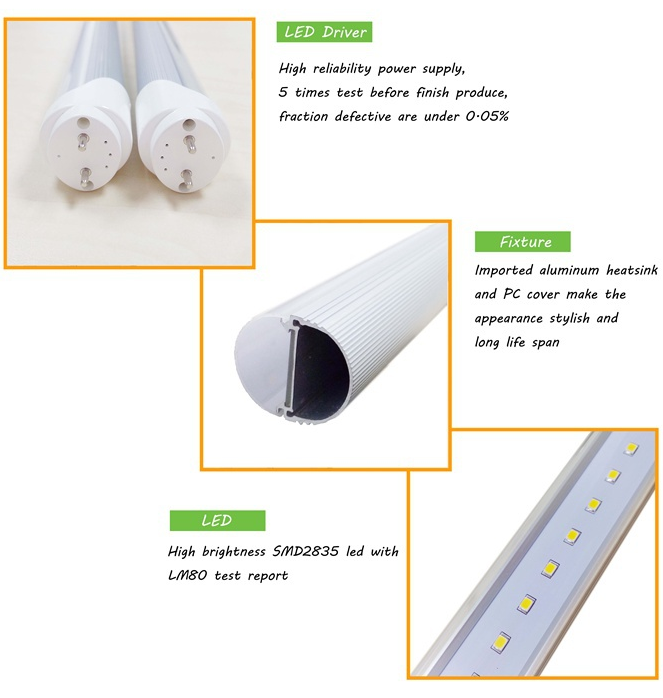 ● LED tube adopts internal isolated LED power supply, which is highly reliable. ● LED tube works WITHOUT ballast & starter. 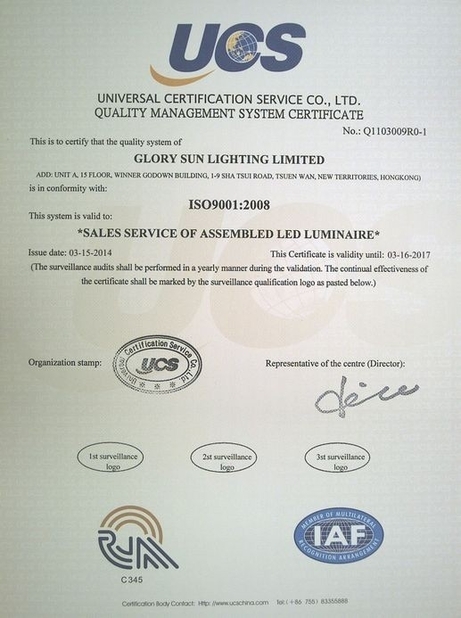 ● It has a good heat dissipation capacity, widely used in interior lighting. no toxins and no other pollutants, no electromagnetic interference. 1. 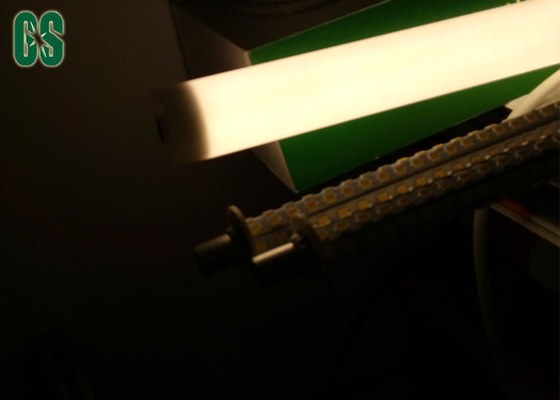 High efficiency and energy-saving compared to conventional fluorescents which are equal bright, and consumes 70-80% less energy. 2. No RF interference, no buzzing noise, no UV radiation. 4. No hazard of mercury or lead entering the environment. 5. 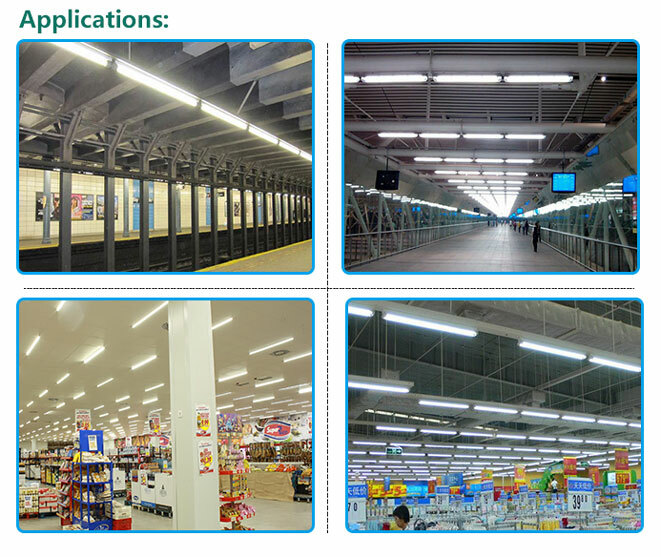 Low power consumption, high intensity, low lumen attenuation. 6. Recessed mounted, maintenance free, easy installation. 8. 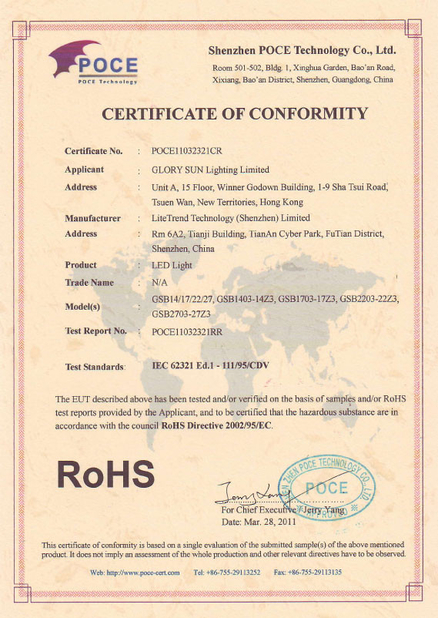 Adopting low- pressure constant current power supply, no glare, it indeed achieves soft luminescence, stabilization, continuity, and approximate natural light, which is a perfect light source. 3. Factories / Offices, Supermarkets, Residential / Institution buildings. 4. Corridor lights, architectural point of light, windows Gallery lighting. 7. Emergency Lighting, Ships, Outdoor Picnics, camping etc. 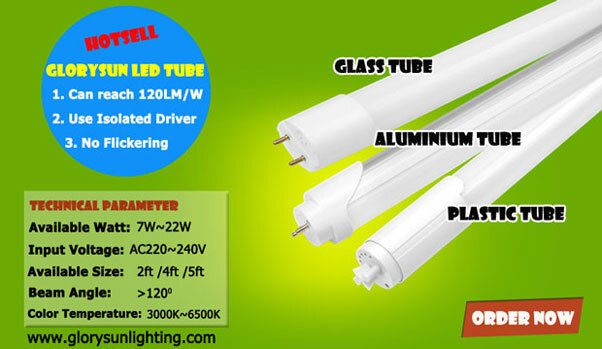 Note: AC/DC12V LED Tube can also be available. Single input and double input are all available. 1) We use high quality pure Aluminum Alloy, it is heavier than other supplier tube, our PC cover is fire-proof 94-V0 and imported from Taiwan. 3) The PC shell has anti-oxidation processing, not turn to Yellow within 3 years! 3) Strict test processing: Special Automatically Aging test line, integrating sphere test..) to warranty stable tubes ex-factory. 4) Product Reject Ratio is <2‰, we guarantee 3 years strictly!